Cancer is the second leading cause of death in Among Albertans aged 35-?64, cancer is the leading cause of death, causing more deaths than heart disease. As estimated these four cancers combined accounted for 52% of new cancer cases and about half of cancer deaths. Cancer accounted for 27% of deaths in the province for all ages in 2012 making cancer the second leading cause of death in Alberta after deaths from circulatory system diseases (30%). 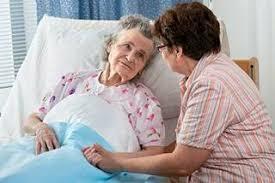 Those people newly diagnosed with cancer and the long-time cancer survivor will find that Sovereign Ease Caregiver& Nursing Care’s professional in-home caregivers can provide valuable assistance. At Sovereign Ease, we recognize the challenges rated to battling cancer and we are here to support you and your loved one. In addition to providing any needed assistance around the house, our caregivers can accompany you to Physician appointments, support groups, chemotherapy, radiation therapy, a trip to a friend’s house and provide companionship during this challenging time. At Sovereign Ease Caregiver & Nursing Care we focus on helping you or a loved one to relieve your symptoms, enhance your overall well-being, assist with daily activities, and improving overall quality oflife. Formal research and patient feedback confirms that care and support can help significantly reduce the stress and anxiety associated with cancer: Un welcome loneliness, loss of control, and loss of hope. Sovereign Ease will work with you to help you during your treatment and keep a bright ray of sunshine in your life!